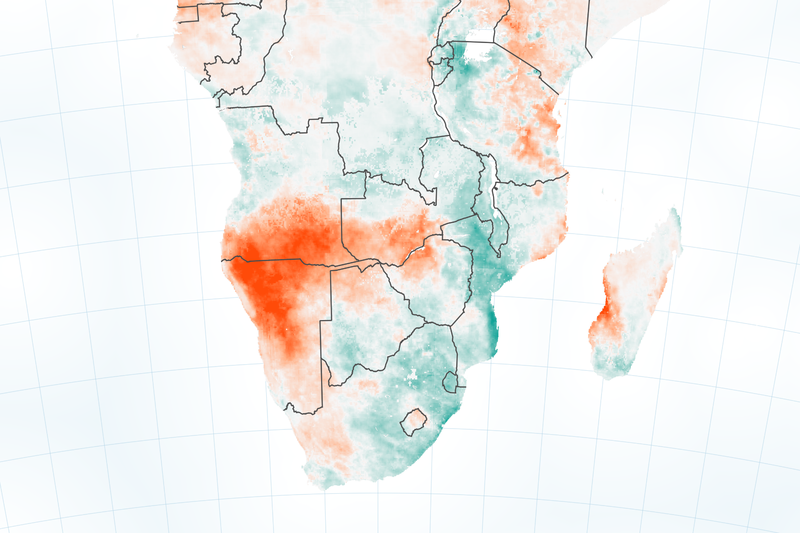 There is never a good time for drought, but in southern Africa, overly dry conditions hit at a particularly vulnerable time—just after planting for the 2018-2019 maize (corn) season. According to ReliefWeb, about 10.8 million people in southern Africa faced severe food insecurity at the end of 2018. 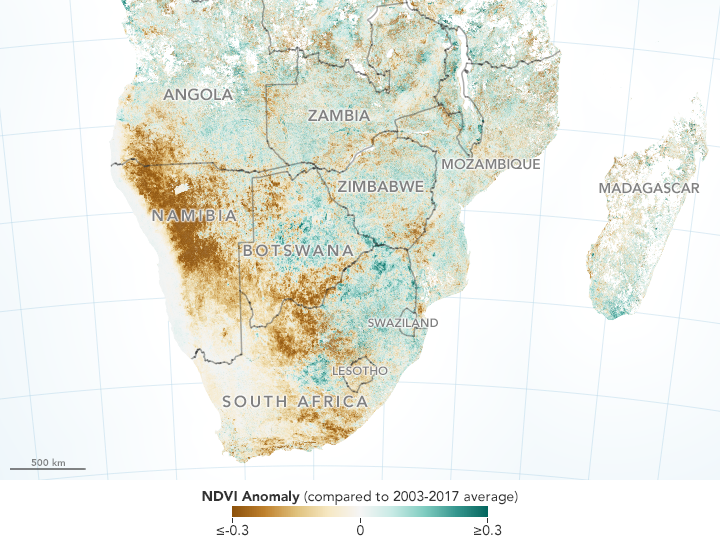 The drought’s effects are apparent in these satellite-derived maps, which show dry soils and struggling vegetation across much of southern Africa. NASA satellite data and land surface models help inform agricultural drought monitoring systems that can warn of famine and reduce risk in food insecure regions. The first map depicts soil moisture anomalies in February 2019; that is, areas that had more (green) or less (red) water in the upper layers of the ground than the norm for the month. 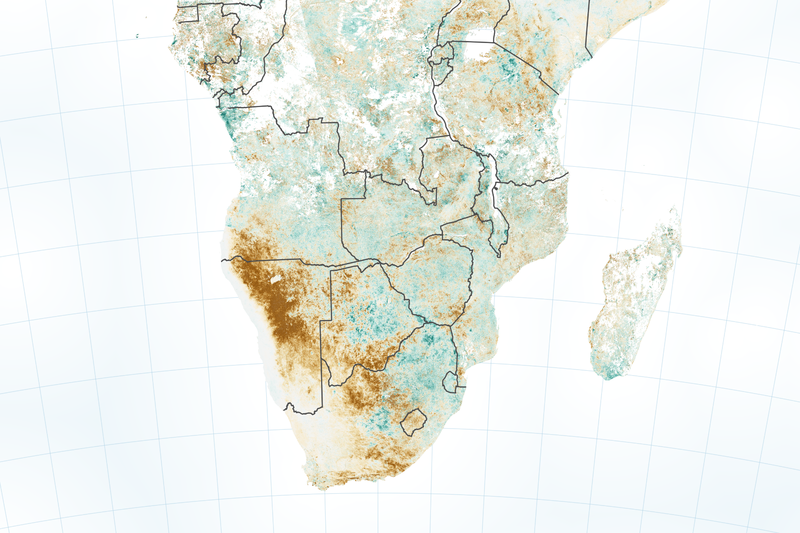 Namibia and southern Angola show especially dry soils. 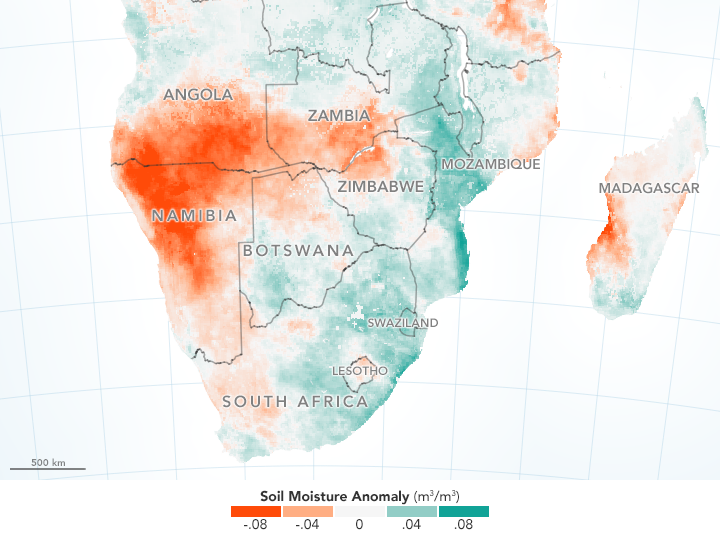 In contrast, soil moisture in Botswana and South Africa appear to be above normal. 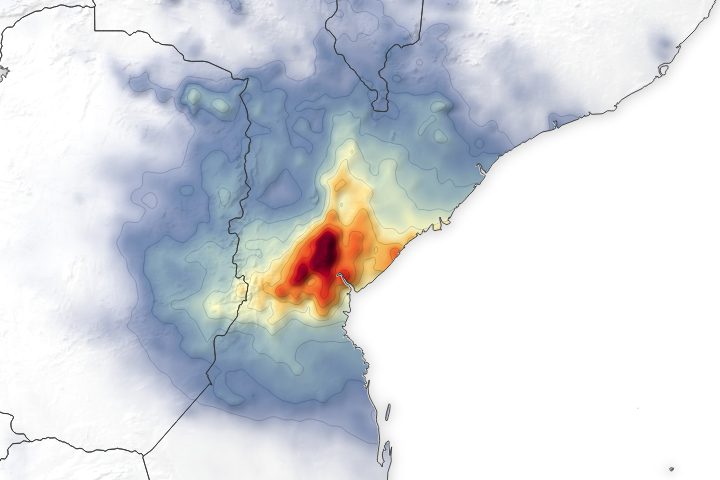 But according to Amy McNally, a researcher at NASA’s Goddard Space Flight Center who works on food and water security issues, that moisture arrived too late for much of the region’s maize crops. The drought’s toll on agriculture is clearer in the second map, which compares vegetation health in from February 21-28, 2019, to the long-term average for that week from 2003-2017. The image shows the Normalized Difference Vegetation Index (NDVI), which describes the health of vegetation based on how much red and near-infrared light plant leaves reflect. Healthy vegetation (green) reflects more infrared light and less visible light than stressed vegetation (brown). 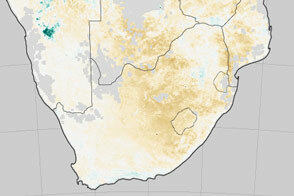 Vegetation in Namibia and southern Angola remained stressed amid persistent dry conditions. 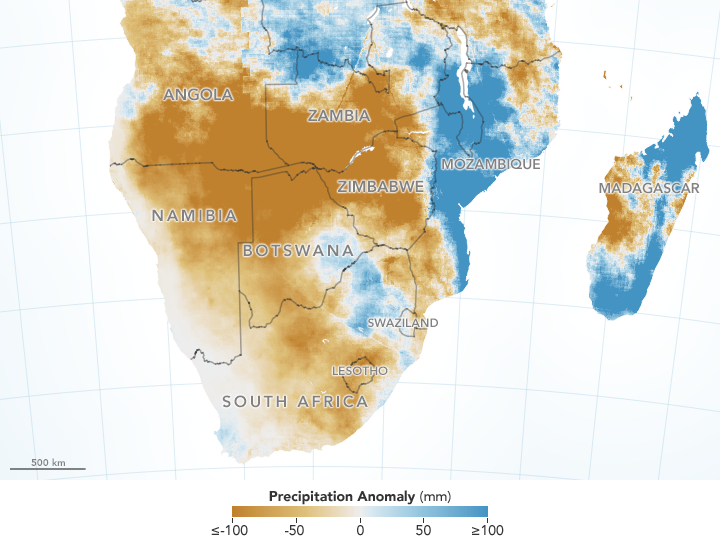 Notice that vegetation in Botswana and South Africa are also stressed, even as rains replenished some of the soil moisture. It can take about a month for new moisture to have a detectable effect on NDVI, or greenness. The reason for the persistent stress is due to a dry start to the maize growing season. Farmers in southern Africa plant maize starting in October. By November, rainfall usually arrives to water the newly planted crops. But not every year. The map above shows rainfall anomalies from December 2018 through January 2019. It shows several months of dryness culminating in a deficit of as much as 100 millimeters less rain than average for the same two-month period from 2000 to 2019. McNally added that conditions are not expected to recover for food insecure areas targeted by the Famine Early Warning Systems Network (FEWS NET). 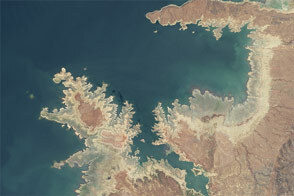 NASA Earth Observatory images by Joshua Stevens, using data from the Famine Early Warning Systems Network (FEWS NET) and the U.S. Geological Survey. Story by Kathryn Hansen. Drought spread across parts of southern and eastern Africa in 2016, with El Nino among the causes. AllAfrica (2019, March 4) Namibia: Government Calls for International Aid On Drought. Accessed March 20, 2019. 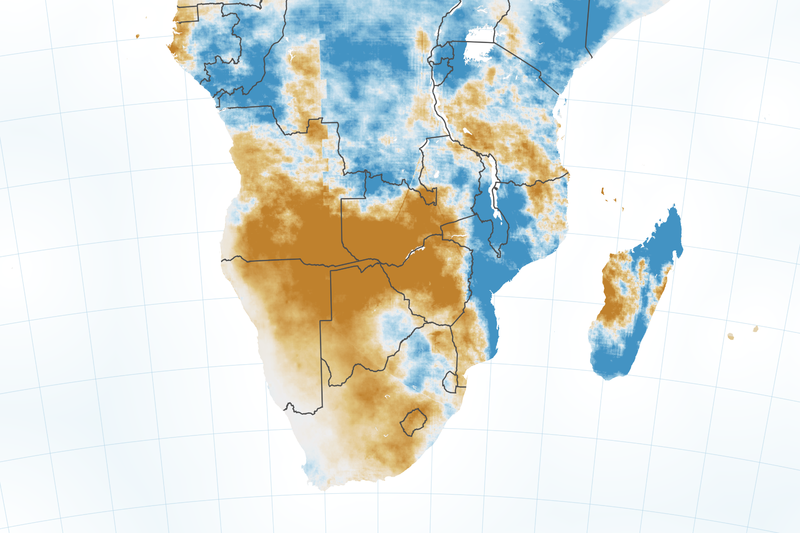 Famine Early Warning Systems Network (2019, February) Heavy January rainfall decreased moisture deficits, though cropping conditions unlikely to recover. Accessed March 20, 2019. 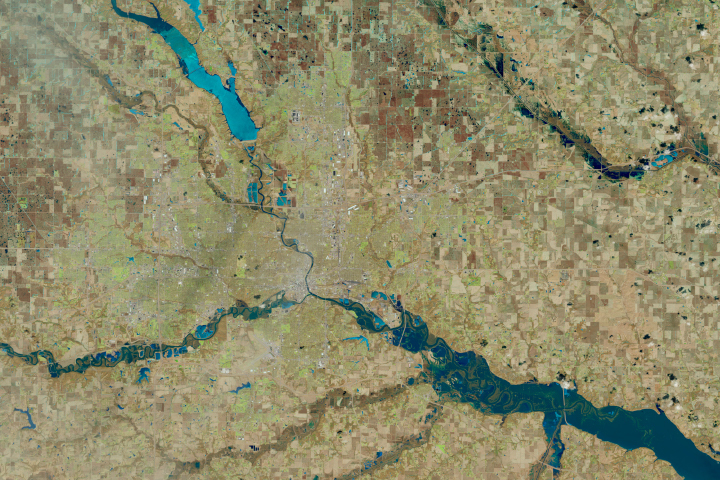 GEOGLAM Crop Monitor (2019, March) Crop Monitor for Early Warning. Accessed March 20, 2019. NASA’s Goddard Space Flight Center (2019) Land Data Assimilation Systems (LDAS). Accessed March 20, 2019. 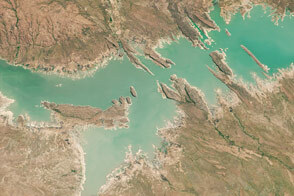 NASA’s Goddard Space Flight Center (2019) Land Information System (LIS) Framework. Accessed March 20, 2019. Reliefweb (2018, November) Southern Africa: Drought - Nov 2018. Accessed March 20, 2019. 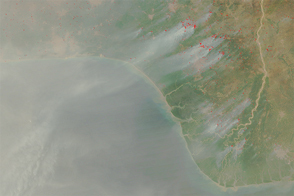 UC Santa Barbara Climate Hazards Group (2019, March 5) Climate Early Warning Sparks SADC Member States to Expedite National Vulnerability Assessments for Timely Regional Aid. Accessed March 20, 2019.